Dine outdoors with the Weave 64" square cast aluminum dining patio table in black tippet. 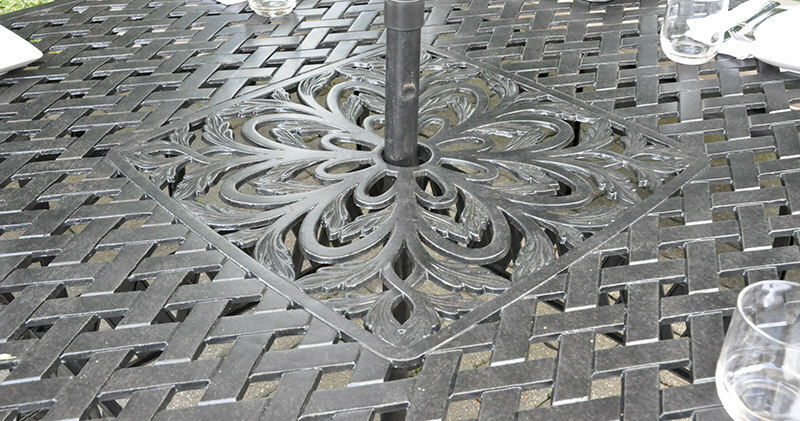 This outdoor patio dining table has a classic cross weave pattern for a timeless look. All of our cast aluminum frames are rust resistant and designed to withstand rain or shine. Product Dimension: W64" x D64" H29" Shipping Dimension: 65" x 65" x 3"